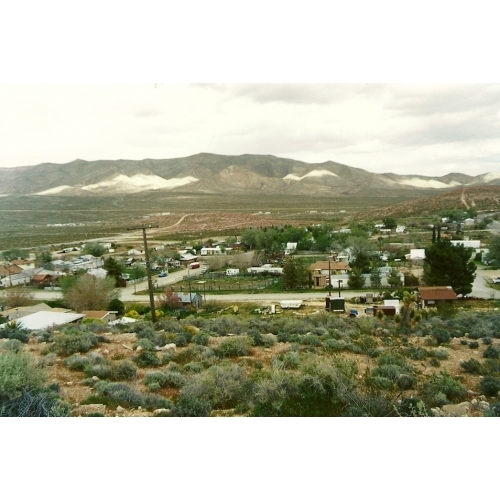 Located only about 25 miles southwest of Las Vegas, the Yellow Pine Mining District is remarkable for the diverse variety of minerals that were profitably extracted -- gold, silver, copper, vanadium, lead, and even platinum. 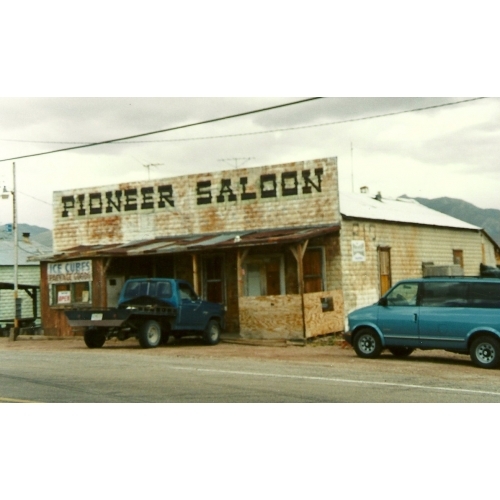 The chief town was Goodsprings and the most important mine was Yellow Pine, which engendered not only a large mill but also the picturesque Yellow Pine Railway. 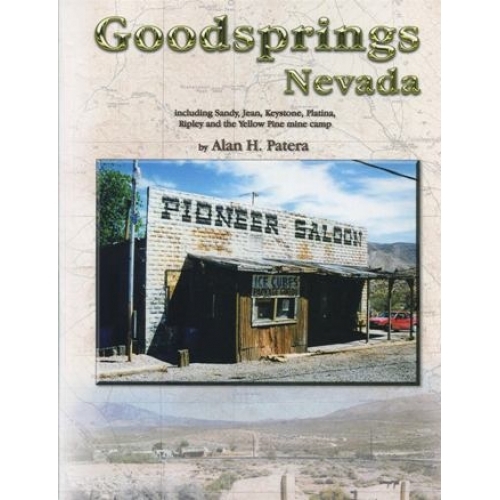 This book deals not only with Goodsprings but with all the towns and camps related to the Yellow Pine Mining District including Sandy, Jean, Keystone, Boss, Platina, and Ripley. Paperback, 44 pages, 8.5 x 11 inches. This book contains numerous photographs, both 19th century ones and others taken recently. 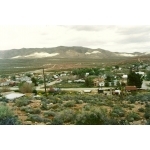 People and places are indexed. 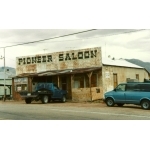 The Goodsprings Pioneer Saloon where Clark Gable waited for word about his wife Carol Lombard's fate following a plane crash. It is still open for business. 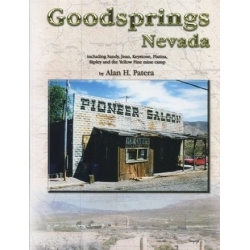 Goodsprings survives as a small community only 20 miles from Las Vegas.